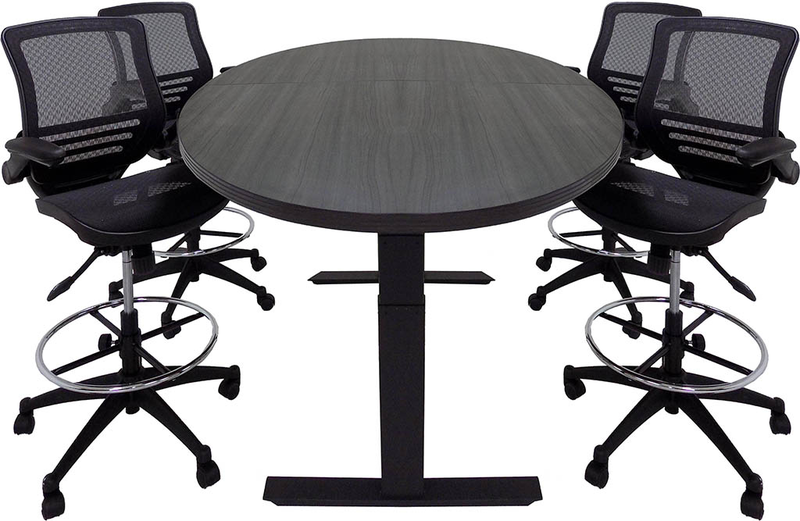 Our oval top electric lift conference tables offer an attractive and interesting shape along with easy one-touch height adjustability! 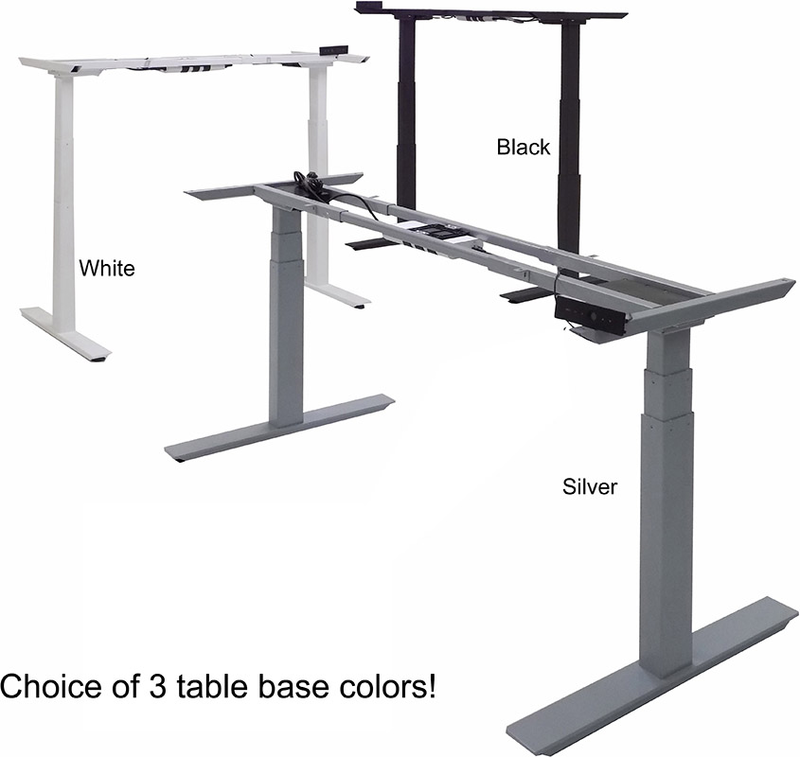 Transform your standard seated meeting into a dynamic atmosphere at standing height in seconds. 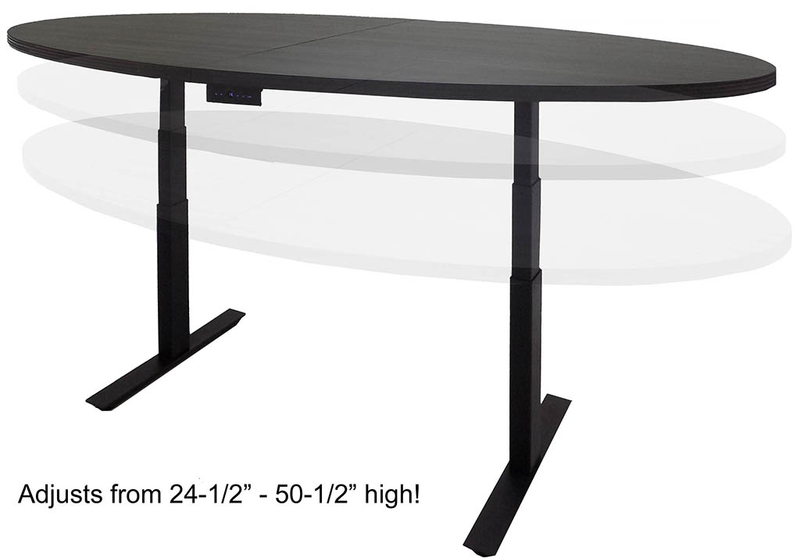 Table adjusts from 24" to 50" high and has two memory buttons to save preferred height settings. 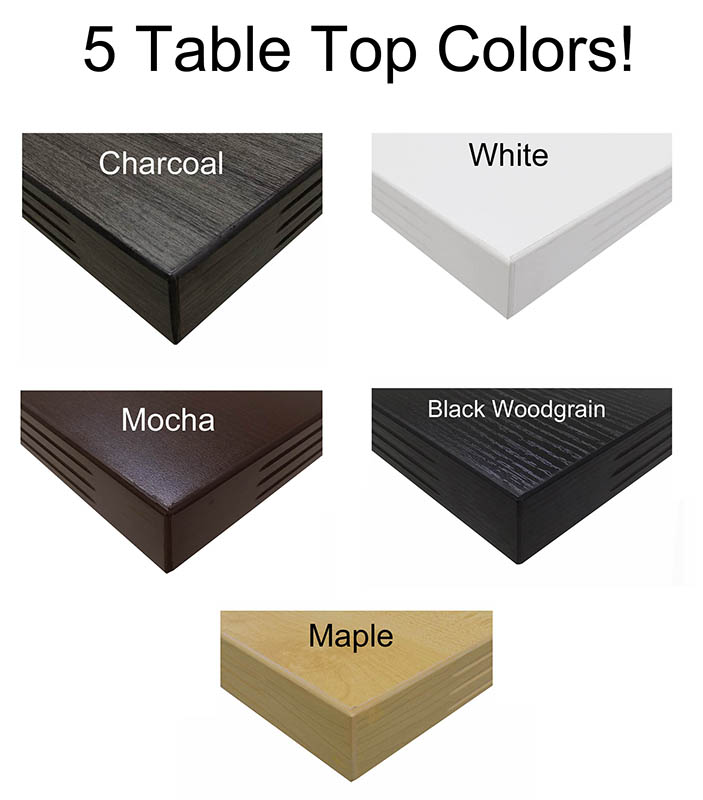 Conference table tops measure 94-1/2" long x 47-1/2� wide x 1-1/2" thick. 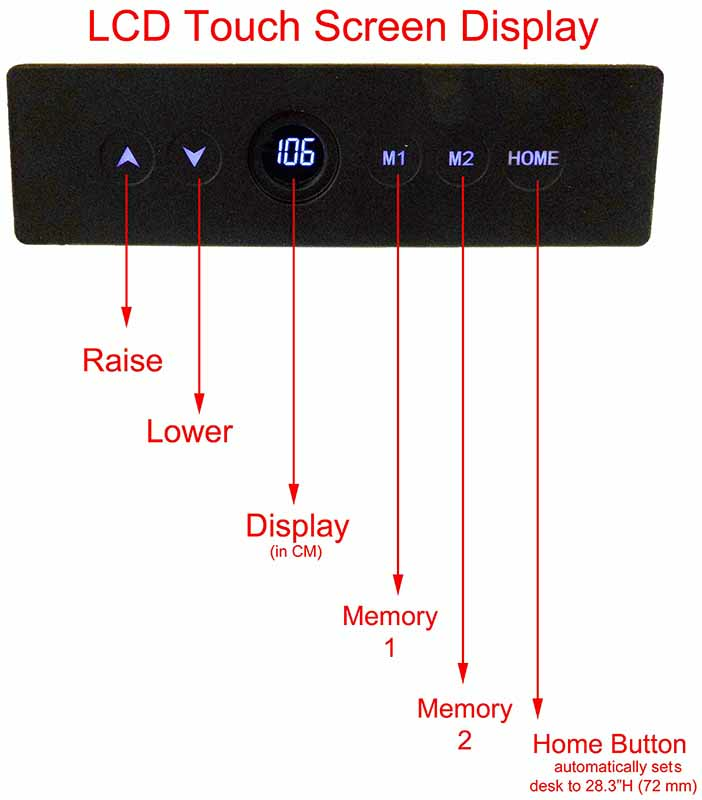 Tops adjust from 25-1/2" to 51-1/2" high. Shipping weight 225 lbs. PRICE INCLUDES SHIPPING! IN STOCK! 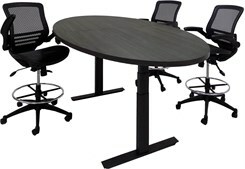 Our electric lift conference tables are the best value to be found in quality electric lift meeting tables. Sold as a complete package including powered high capacity steel lifting columns and frame, LED handset with two position memory function and choice of laminate or real wood veneer conference table top.